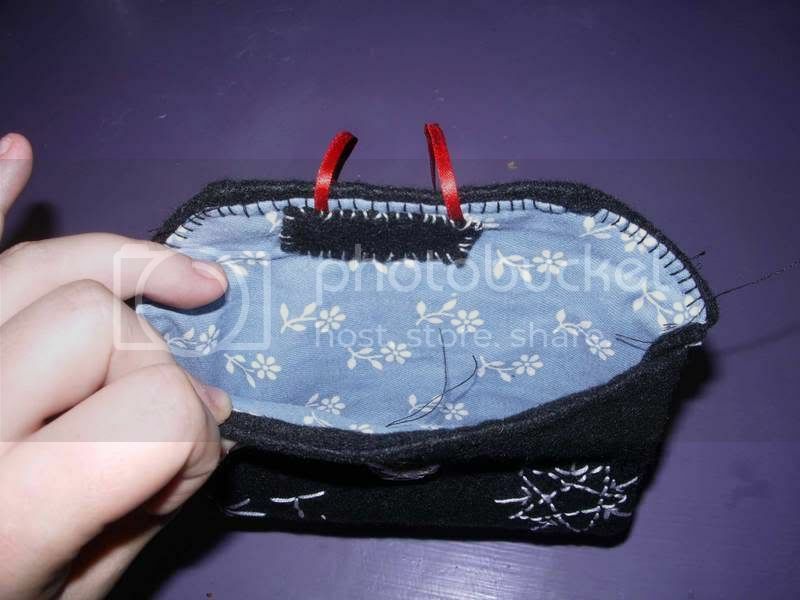 Craftster Community > PURSES, BAGS, WALLETS > Purses, Bags, Wallets: Completed Projects: General > liitle felt wallet thingy! a few weeks ago, one of my friends let me borrow the last harry potter book because i hadnt read it yet, and she said i had to *sigh* it was so so good! anyway, i finished it in record time and have been hanging onto it for a really long time. 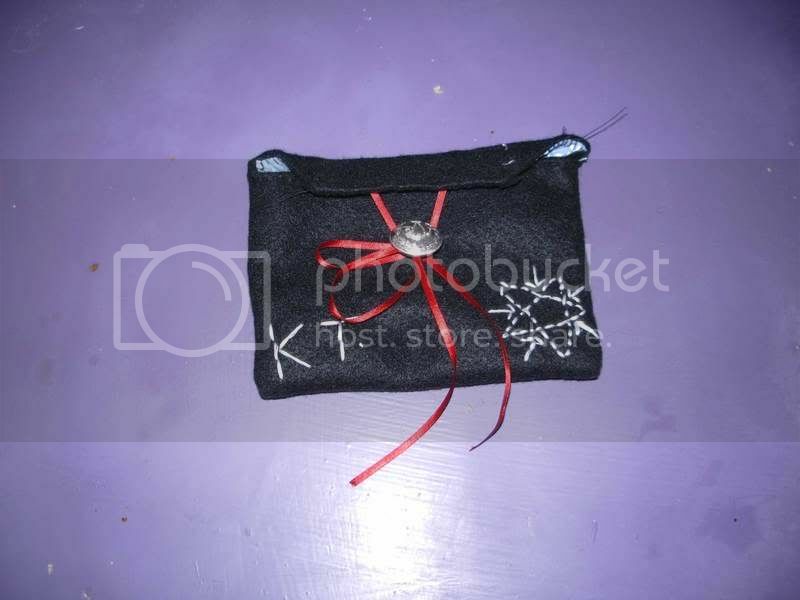 so as a thank you for letting me borrow it for so long i made her a little felt purse/pocket thing. its big enough to fit a DS lite, but that wasnt its original purpose. i used a vintage military button i found in my stash (and i want to make a copy of it in resin one day) as well as using some red ribbon to tie it up. 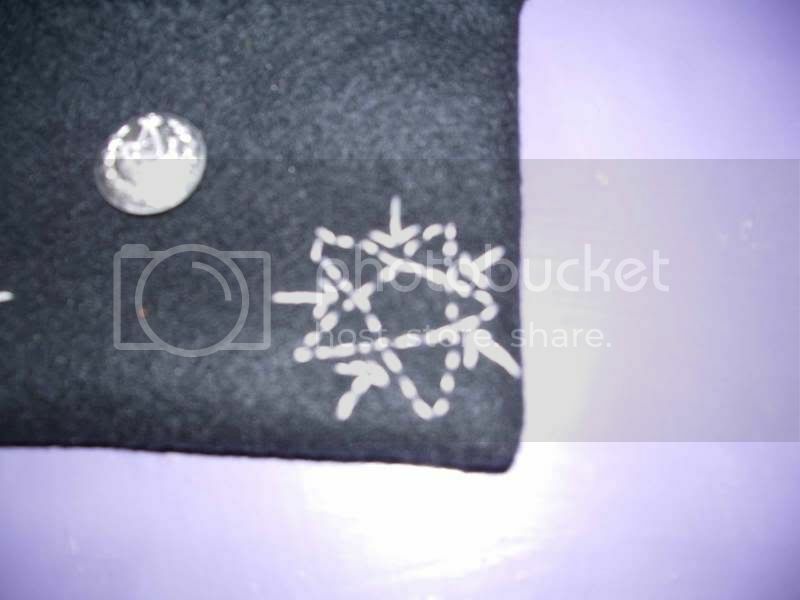 i embroidered her own symbol that she loves to draw on it, as well as her name. tell me what you think. i am very proud of it personally! Re: liitle felt wallet thingy! I think it's really great that you hand sewed the entire thingy I do not like to hand sew at all! I really like your button, very cool. I am sure that she will love all the personal touches you put in. Nice job, a wonderful way to say thanks.